As a lifelong Flamin’ Hot Cheetos devotee myself, I get it. Maybe too much. My friend once gave me Hot Cheetos socks for my birthday, and I…didn’t hate them. Point being: I thought I liked Hot Cheetos more than anyone in the world. 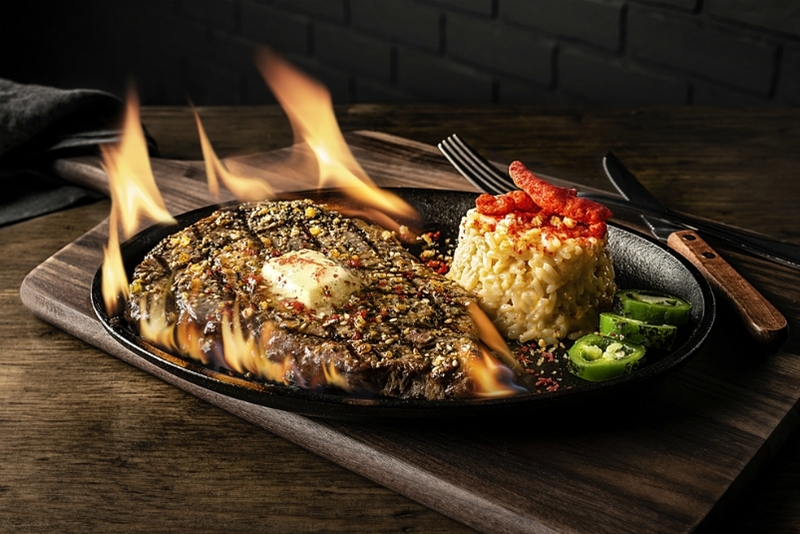 Then Choi opened the Flamin’ Hot Spot —in L.A. September 19-20—severely one-upping me. 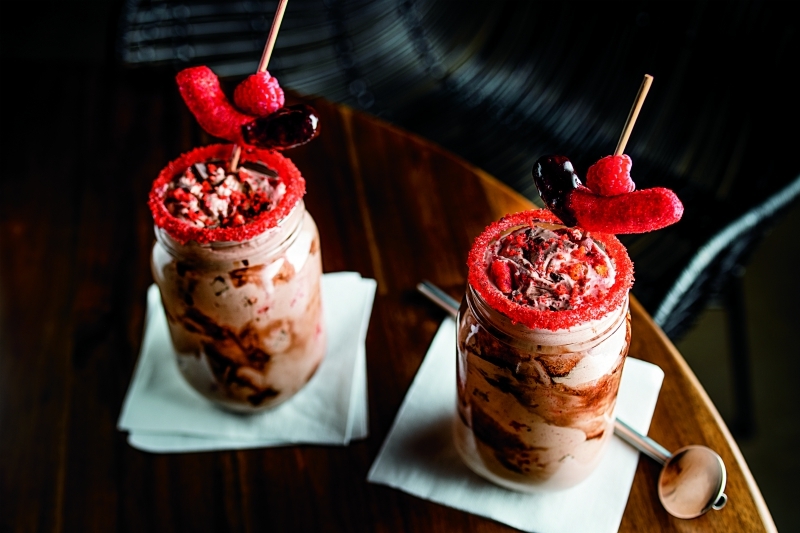 The limited-time pop-up in Hollywood is the trailblazing gourmand’s answer to New York’s Spotted Cheetah eatery, which saw Food Network’s Anne Burrell Cheeto-fy such classics as mac and cheese, grilled cheese, and, yes, even freaking cheesecake. Surprisingly, the world did not end. It asked for more. On opening night, I sampled the menu (online in full, with recipes, here) and found that while not all the concoctions were home runs (apologies, Flamin’ Hot Fries), there were five clear winners. Unfortunately, seats at Flamin’ Hot Spot sold out in 30 minutes, but, silver lining: there’s a waitlist. And brighter silver lining: Choi told us many of the menu items will live on as specials at his other restaurants. We would be very surprised if these didn’t make the cut. What it tastes like: Normally, even I would say ordering a Hot Cheetos milkshake belongs in the same category of Bad Things to Do as watching a YouTube prank, drinking O.J. after brushing your teeth, or waiting in line at a New York Trader Joe’s. But Choi likes to tease this as “real bomb,” and he’s not wrong. The mix of raspberry, chocolate, and spice does work. And even if this isn’t the best milkshake you’ll ever have in your life, it’s worth trying. After sipping once, the only reason you’ll be mad is that you’re very confused you’re sipping again. 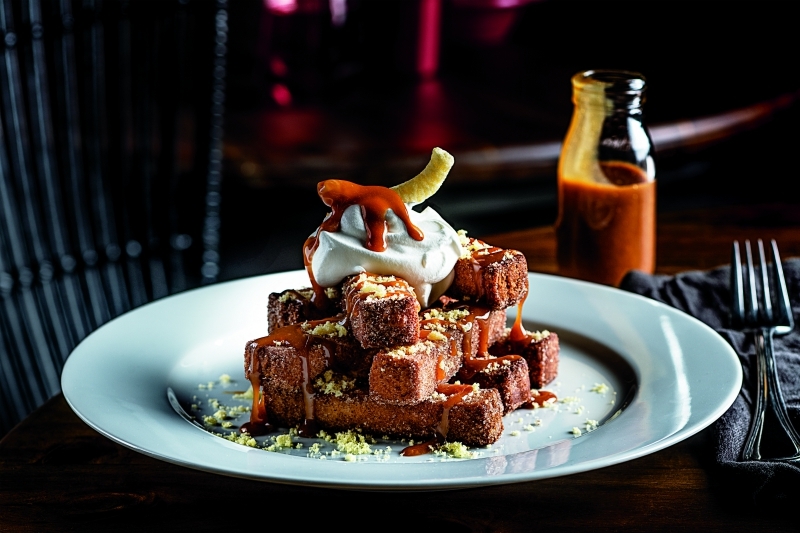 What it tastes like: Just really, really good churros. And thank Chester, because you get a mountain of them. What it tastes like: Yes, the dish looks like somebody force-fed Cookie Monster carrots and then made him vomit on an innocent steak, but don’t be scared. 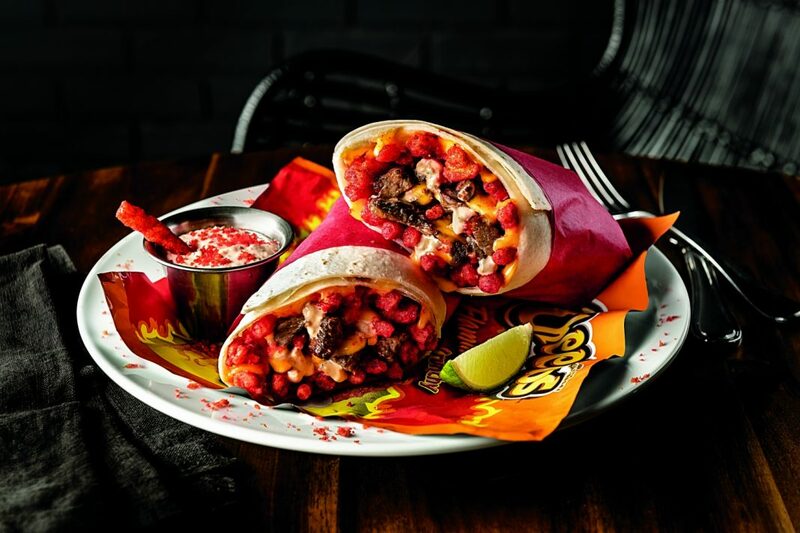 The orange stuff is just dusted bits of Cheddar Jalapeño Cheetos, which, much like the fiery additions in the burrito (below), don’t ultimately get in the way. When Choi said Cheetos could be used as a seasoning salt, he was referring to this. What it tastes like: When your best friend from grade school said, “Trust me,” and surgically implanted Hot Cheetos in your sandwich at lunch—just ten times better. How? “The spice allows [the Cheeto] to stand on its own, and then it doesn’t hurt another flavor,” explains Choi. “It accentuates it.” The burrito, with its delicious short rib maintaining the spotlight in every bite, is a strong example. 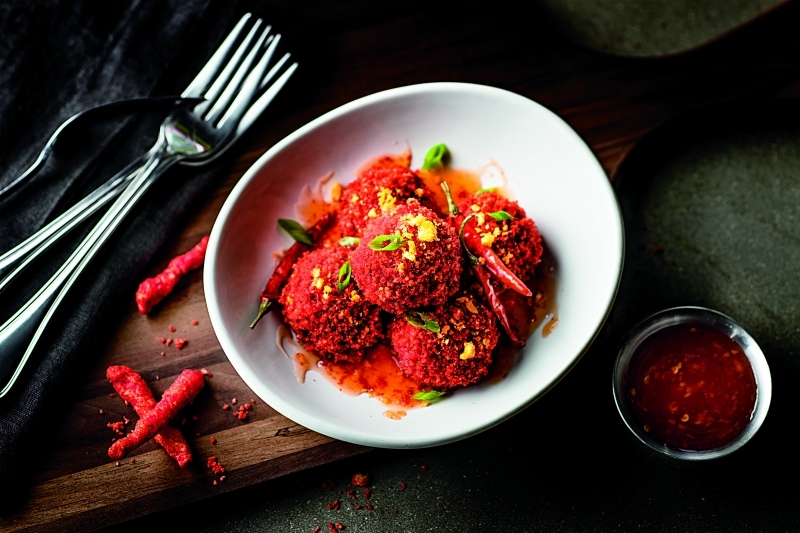 What it tastes like: If Christian Bale bit into these, he would do his Batman voice and scream, “WHERE ARE THEY?” The Cheetos might be hiding, but they’re in there, subtly helping the dish achieve its impressive balance of sweet and spicy, making it, without a doubt, the tastiest and most approachable item on the menu. Eating these meatballs will make you feel like you have died, gone to heaven, and visited the afterlife’s much, much better version of IKEA. Previous articleWhere Was There a Drive-In Theater in Los Feliz?